This week, I will be leading my third major agricultural trade mission to China, one of the most promising markets for our farmers and food processors. This will be the largest agricultural trade mission in Canada’s history, and we are hoping to surpass the results of our last agricultural trade mission to China in 2017, which generated over $300 million in new sales for Canadian food products. The Government of Canada has made agriculture a core priority, and a key part of that effort is a progressive trade agenda that is helping bring Canada’s top-quality food products to consumers around the globe. Nearly 200,000 Canadian farmers and thousands of small to medium-sized agri-food entrepreneurs generate over $100 billion in revenue for the Canadian economy. By tapping in to the Chinese market, we will create good quality jobs at home and support our rural communities. China is home to the world’s largest population and the world’s second-largest economy, with a rapidly-growing middle class hungry for top-quality agriculture and food products. Our Canadian farmers, fishers, and food processors are ready to deliver, offering a wide range of high quality, safe and sustainable products, from wild blueberries to canola to beef to lobster. Chinese customers recognize the value of Canadian products, and our bilateral trade in agriculture, food and seafood products has already increased nearly 40% over the past four years to approach $10 billion. As impressive as these figures are, we are only beginning to tap into the potential that this partnership holds. Success depends on government and business partners working hand-in-hand. Last month, I welcomed my friend, Chinese Minister of Agriculture and Rural Affairs Han Changfu, to Ottawa and now I am heading back to China for the fifth time to explore new opportunities for growth. I’m looking forward to working with Minister Han and I will also be honoured to attend a dinner with the President of the People’s Republic of China, Xi Jinping. I’m travelling to China with a strong and diverse delegation of over 300 people, including agricultural leaders from the major sectors of our industry and provincial partners. Over the course of 10 days we will work together to strengthen relationships that will grow our presence in this vital market. 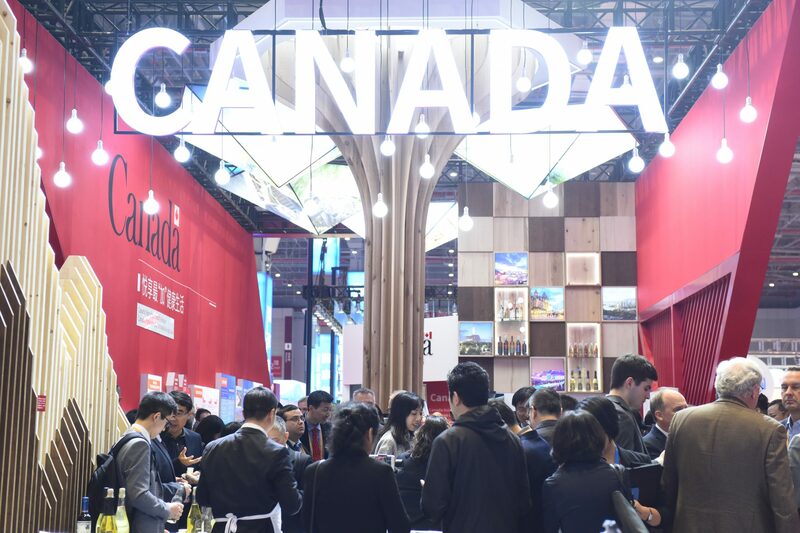 We will attend some major trade shows in Shanghai, including the first-ever China International Import Expo and the Food and Hotel China show, as well as the China Fisheries and Seafood Expo in Qingdao, where Canada will have a strong group of exhibitors. We will sit down with our Chinese partners in government and industry to explore ways to expand our trade, product by product, including through tools such as the e-commerce marketplace. China is already the largest e-grocery market in the world, valued at over $20 billion and growing. This is agriculture and food’s new frontier, where customers around the world can do their grocery shopping with the click of a button. This mission will help raise the profile of Canadian agriculture and continue to build relationships with China’s growing e-commerce sector, to help secure shelf space in the world’s virtual supermarket for Canadian products. I will also join Minister of Finance Bill Morneau and Minister of International Trade Diversification Jim Carr at the Canada-China Economic and Financial Strategic Dialogue to promote bilateral cooperation across a wide range of economic portfolios, including agriculture. This mission will also seek to build on the impressive growth that Atlantic exports have seen in China. I will be joined by Members of Parliament from the Atlantic region, including President of the Treasury Board Scott Brison and Parliamentary Secretary to the Minister of Tourism, Official Languages and La Francophonie Alaina Lockhart. We will sit down with key buyers to help get more top-quality Atlantic products onto dinner tables in this important market. It’s part of the Atlantic Canada Opportunities Agency’s Atlantic Growth Strategy. This federal strategy is supported by the governments of Nova Scotia, New Brunswick, Prince Edward Island, and Newfoundland and Labrador, as part of pan-Atlantic Canada efforts to grow international trade and investment opportunities. Expanding our agri-food trade in key markets like China is critical to the long-term success of Canadian farmers and food processors. That is why we set a $75 billion target in agricultural exports by 2025, and why we will continue to work closely with industry to help them provide consumers in China and around the world with quality food, while creating jobs and growth for Canada’s middle class. © 2019 Abbotsford Today. The Today Media Group. All Rights Reserved.